Feel the rhythm of the road behind the wheel of the 2019 Chevrolet Camaro. This muscle car cranks out 275 horsepower at the base level. The Camaro comes fully equipped with a 7” touch-screen, allowing you to navigate, play music, and evaluate driving performance with the press of your finger. Available rear park assist enables safe and accurate parking, and the car’s Driver Mode Selector lets you choose between four different driving settings to suit your needs. 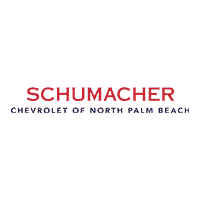 Discover all the Chevy Camaro has to offer in Lake Park, Florida.